Attacks the enemy target 2 times and attacks all enemies with even more powerful attack on the 3rd attack. Attacks the enemy target 2 times and attacks all enemies with even more powerful attack on the 3rd attack. Decreases the enemy's Attack Bar by 25% every hit with a 50% chance. Steals the magical power from all enemies recovering HP according to the damage dealt. Also absorbs 25% of the Attack Bar. Let us know what you think about Water Magic Knight Lapis. Here are our rune recommendations for Lapis. Click on each rune for more information. You can get Lapis by clearing Mt. Siz on normal mode for the first time! She’s probably going to be your first four-star monster, and that’s okay! Lapis is really strong early-game! She’s going to be your first Faimon Volcano farmer. Faimon Volcano is considered the best place to farm for experience and mana for your monsters, so the sooner you can get a Faimon farmer, the better. You know those runes that Reina gave you for the “Auto Battle in Volcano (Normal)” mission? The Vampire/Revenge ones? You should put those runes on your Lapis and level them up to at least +9, and at the very least, you have a Faimon Normal farmer. Power them up to +12 and awaken Lapis, and you’ve got a Faimon Hard farmer! In late-game, Lapis doesn’t have much use, but she still has her niche uses. She’s most notably used in the Fire Rift at this stage, due to all three of her skills being AoE (Area of Effect) and the unique mechanic in the Rift; in which the Fire Beast summons multiple minions who, after a set amount of turns, would each individually blow up on your team and cause massive damage. These minions can’t be targeted, so skills like Sigmarus’s Ice Volcano would be the only way to attack them. 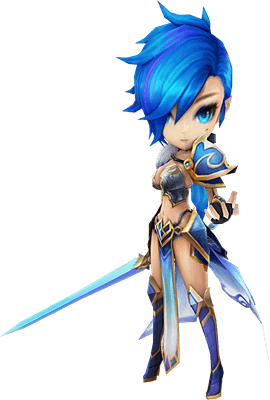 As such, Lapis would be a great monster to use for killing those minions, thanks to her first and third skill, along with the low cooldowns on her skills. Another place you can use Lapis in is in the Trial of Ascension. Again, all three of her skills are AoE, meaning she’s a perfect candidate for Despair runes. Stuns, Continuous Damage, and making sure the enemy never gets a turn is the cheat code to Trial of Ascension. Unfortunately, Lapis doesn’t provide any DoTs (Continuous Damage, or Damage over Time), but thanks to the buff that reduces the enemies’ attack bars on her first skill and steal the attack bar on her third, she does reduce attack bars. Learn how to farm runes fast and efficiently here if you want to get good runes!